These precious omega-3’s are what everyone is looking to get a piece of as a food or a supplement. Fats of this type are found in very high amounts in salmon. Renovating Your Mind has discovered that harmful chemicals floating around in the water are easily absorbed by the fish. Any toxic stuff like chlorinated pesticides, PCBs, dioxins and other toxins are fat soluble. 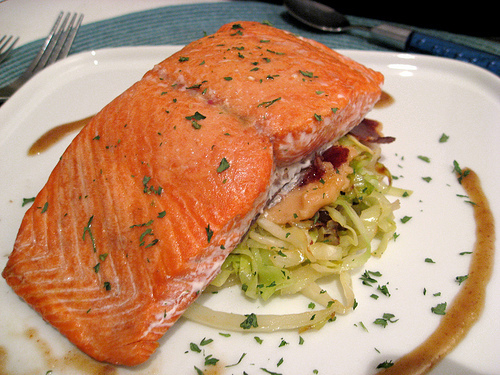 Salmon soaks in harmful contaminants like a sponge. Once inside the fatty tissue they never leave, but just starts accumulating throughout the fish. Most farmed salmon has significantly higher amounts of toxic chemicals than does fish in the wild. Yes, the whole world to a certain degree is polluted by the abuses of mankind. The oceans to a much lesser degree than most fish farms. Wild fish have more room to swim. They are healthier and slimmer than the farmed variety. There were 3 different studies conducted to analysis any difference in contamination of farm versus wild salmon. The first one done in 2001 was performed by the Suzuki Foundation. It showed that farmed variety had a much higher level of contamination. They concluded that it had come from their feed. Then in 2003 a report by the EWG (Environmental Working Group) summarized farmed salmon had the highest levels of PBCs in the entire food chain besides other toxic chemicals. Their recommendation was that we only eat farmed salmon once per month compared to eight times every 30 days for wild salmon. The Journal of Science published their report in 2004. They concluded that farmed has 10 times more toxins than wild salmon. Risks of cancer increase with any more than one meal per month. They went further to say that it would be even safer to not eat farmed salmon more than once every 2 months. 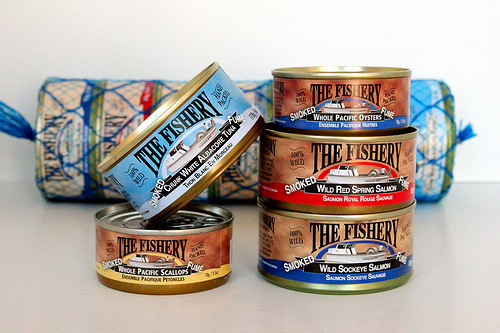 Most canned salmon is wild salmon. 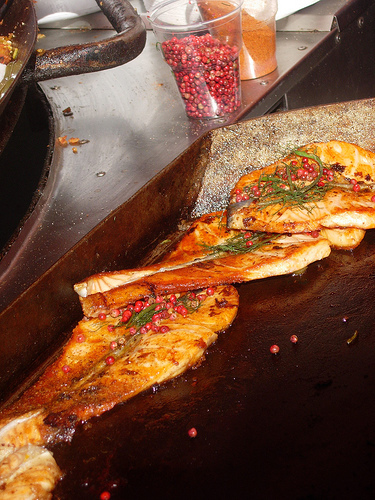 Grilling or broiling the salmon lowers the amount of fat. Limit wild salmon to twice weekly. Not only are farmed salmon significantly more toxic than wild fish, they are sold at a rate that undercuts the value of wild fish. 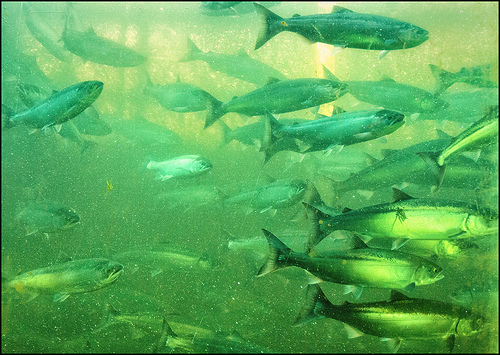 By devaluing wild salmon, salmon farms devalue the wild environs wild fish require. Every place salmon farms have been allowed – in Norway, Scotland and British Columbia, for example – it has been proven that they adversely impact wild fish through the diseases and parasites that go hand in glove with these farms. Great points. Agreed. Thank you Barbara and Jack for your input.